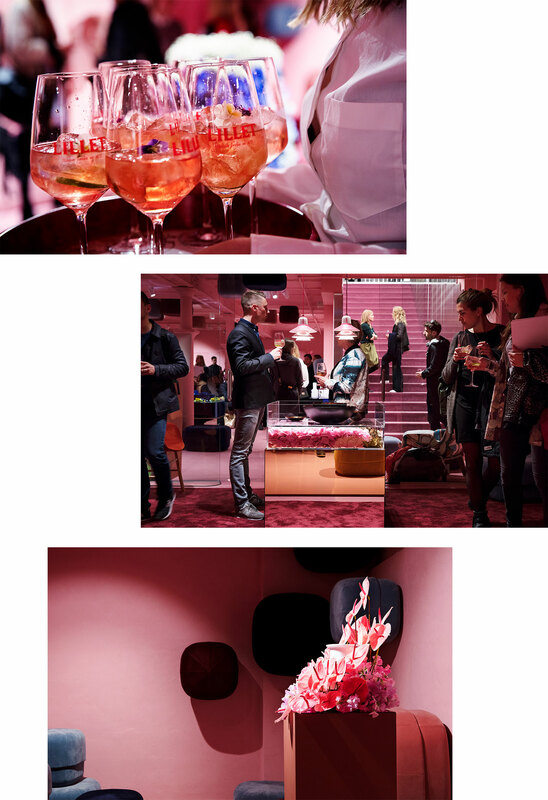 Copenhagen-based floral designer Poppykalas and Normann Copenhagen teamed up for a 48-hour exhibition of sensuous and artistic flower designs in the Pink Gallery of the brand’s showroom, challenging the convention of how flowers are used in Scandinavian interior. Normann Copenhagen approached Thilde Maria Kristensen with the dogma of using flowers differently. Instead of placing them in vases or bowls, the flowers would instead be arranged around, above, beneath, behind or growing out from the side. Krenit bowls, Still vase and Nyhavn vase with Poppykalas’ floral designs. 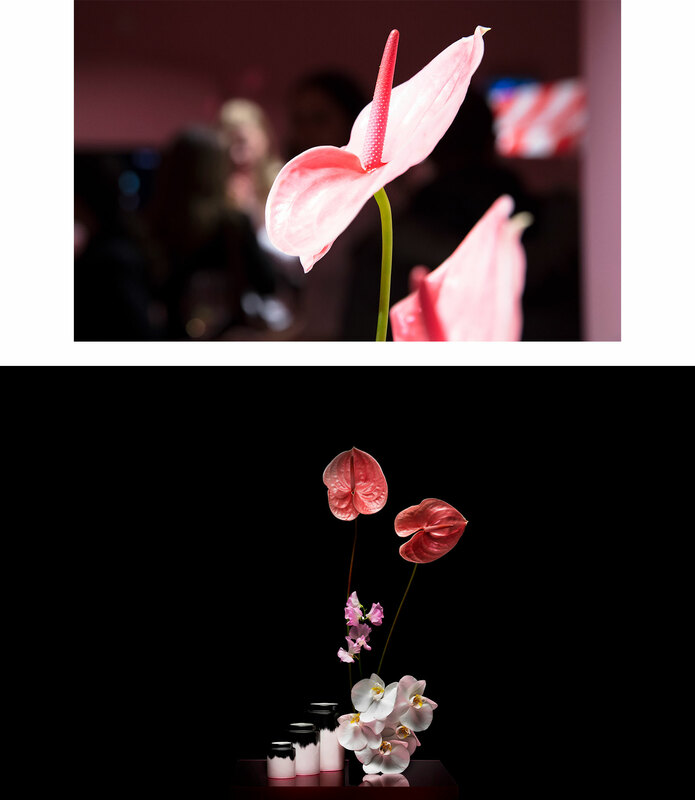 The 48-hour exhibition consisted of six works and appears as a condensed version of Poppykalas' signature flowers, combined with the more stringent aesthetics of Normann Copenhagen. Poppykalas’ works are set up in the pink Gallery exhibition space on various podiums, forming spaces within the space, where some are placed in the middle of the room and others stand against the wall. 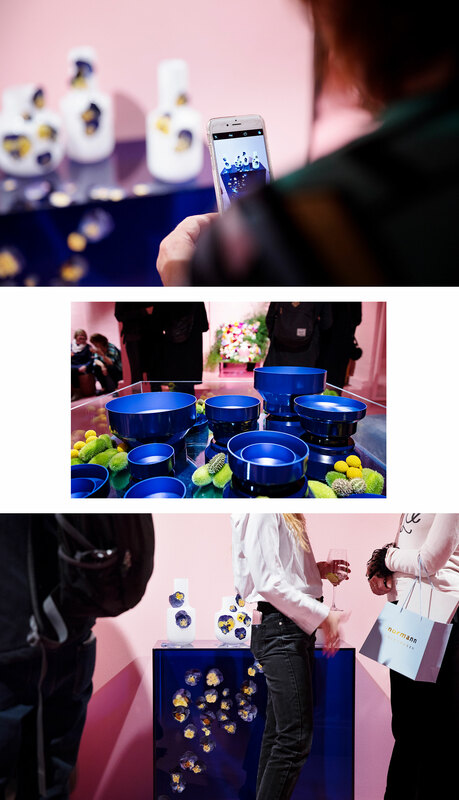 Still vases and Meta bowls create an instagrammable design of electric blue. “Together all these filled-out spaces and non-spaces create one big sensuous floral body that appeals to the body and mind of the spectator,” Thilde explains. 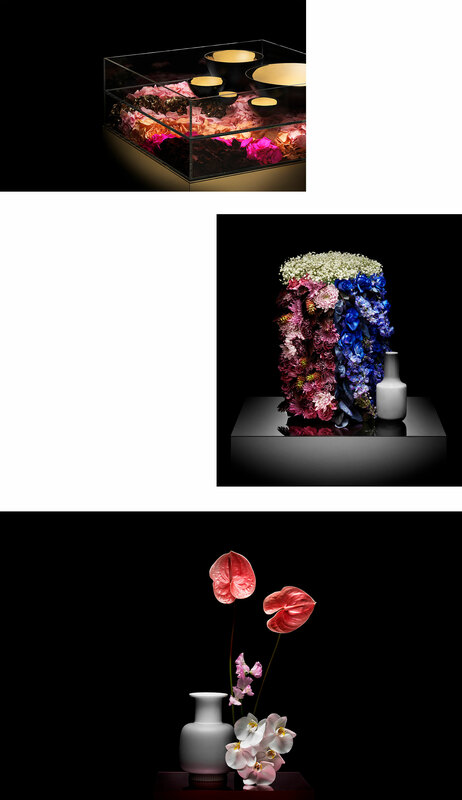 For the artistic floral creations Thilde was inspired by the color of the vases and bowls by Normann Copenhagen and the pink color in gallery of the showroom, furnished with velour poufs and colored podiums. Thilde’s signature flower: the bold and architectural anthurium. We ask Thilde, what she believes visitors should take with them from the exhibit. “If we are lucky, we can inspire people to work with flowers in new ways like for example Karen Blixen who made bouquets with leeks - why not? There are no rules,” she replies. For more floral inspiration, follow @poppykalas on Instagram or read our interview with her.